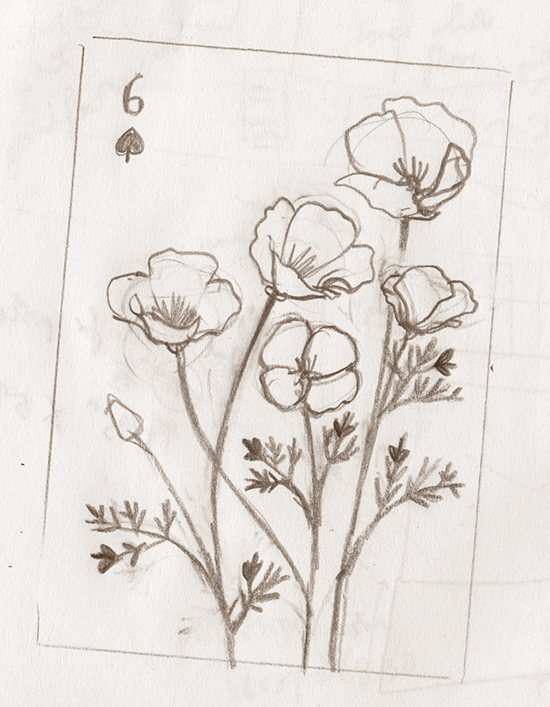 and made some sketches. 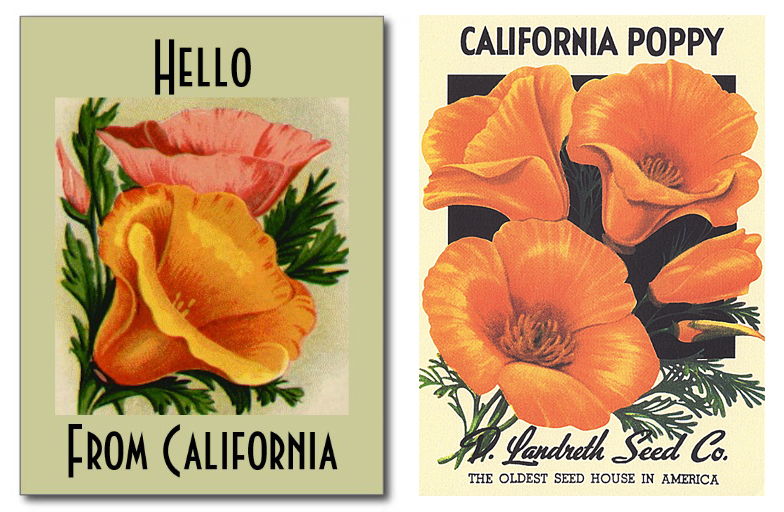 I chose the number 6 as April 6th is California Poppy day! And here’s the final print! 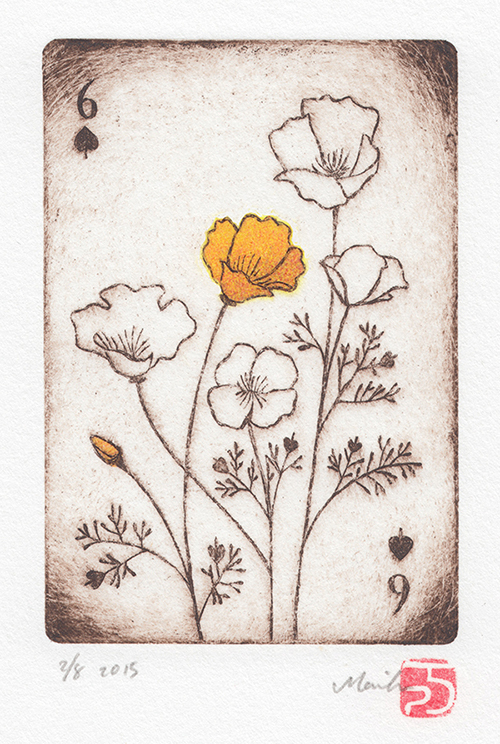 Brown with bright orange transferred details.